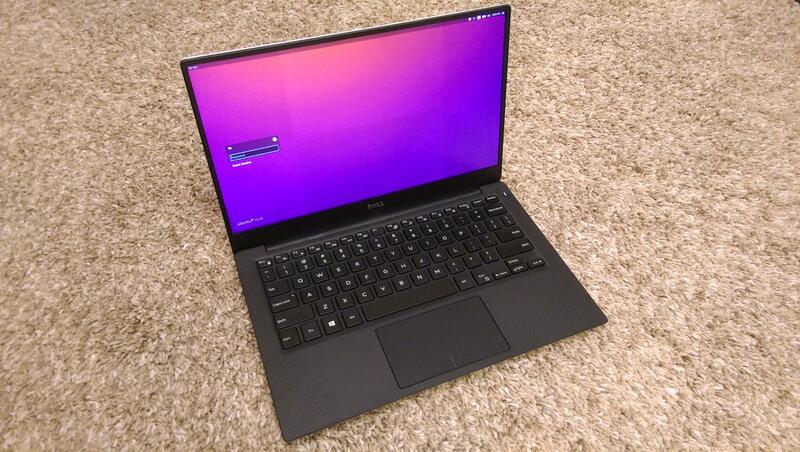 I've had the Dell XPS 13 for almost 8 months now and I figured it was time to write up a short review. Here are the specs for what I ordered straight from Dell. I got the initial version with Windows on it and I immediately imaged the hard drive and installed Ubuntu. So, I can't really speak to anything related to having Windows on the laptop. Not my cup of tea. With that said, I even pulled off the Windows sticker. To do this, use a piece of paper or carefully slide a razor under the sticker and pull it up. Just be careful not to pick at the surface of the laptop. Once you can get under the sticker, it comes off pretty easy. Here's the essential pros and cons list of things that are on my mind. Great display. No complaints there. Perfect size for your lap and travel. Lightweight, sturdy, and really portable. Gets warm on your lap, but not bad. Keyboard is not bad - for a laptop. This thing is packing more CPU than I was expecting. After having a netbook similar is size, this thing is very smooth and I can compile a kernel in a reasonable amount of time. I even run a couple VM's here and there without any performance issues. Everything still looks like it's brand new - so no broken or worn down parts. Holds up well. The display, while fantastic, is small. 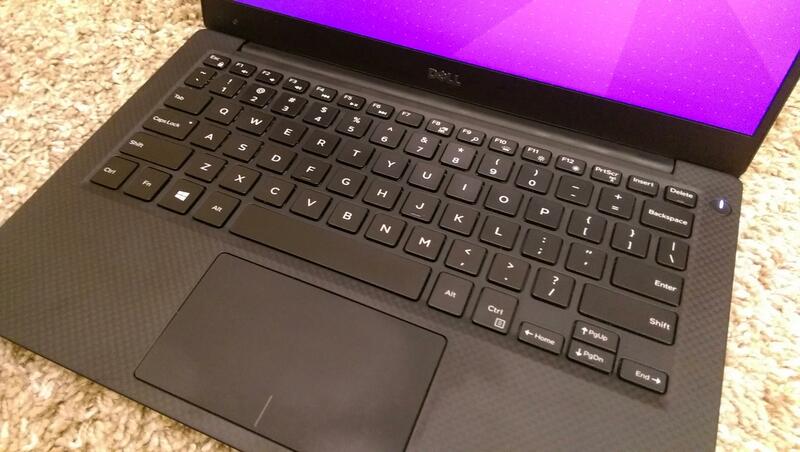 I almost wish I'd opted for the Dell XPS 15 because of this. This makes it hard to sit on this thing all day. The camera angle stinks. Frankly, I try not to use it because of this. 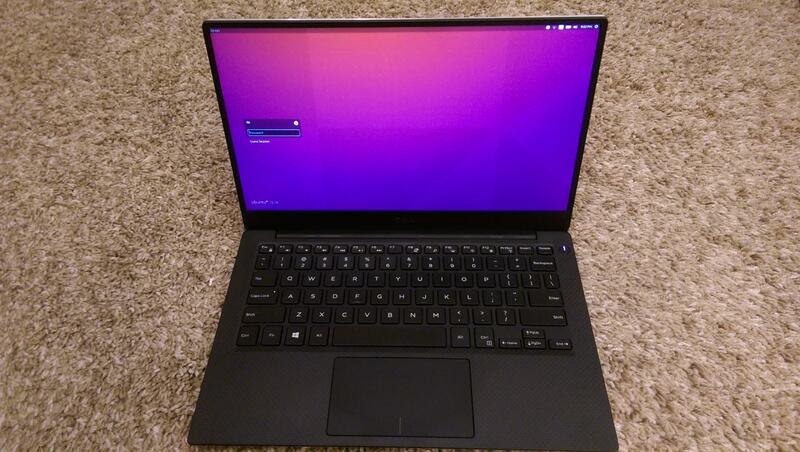 Ubuntu 14/15 doesn't work perfectly out of the box. Took a good bit of working through some issues to get it running. Maybe things are better now that Dell is actually shipping a version of these with Ubuntu. I have constant issues hitting the touchpad with my palm or thumb while typing. I've tried messing around with touchpad settings to prevent this, but I guess at some point it's unavoidable. The charger gets extremely hot if you charge while in use. Unsafe hot. Call me old school, but I like hard drive lights. I like having that LED to glance at to know when HD I/O is happening. It's missing from the XPS 13. While I like the front LED indication of charge status, it's way too bright and in your face. This thing will light up a dark room and it's pointed right at you. So far, here are the accessories I've purchased. Being able to connect up to a HDMI display through USB Type C is pretty nifty and seems to work well. I've needed to throw on an RJ45 Ethernet port for development, and throwing on some extra USB ports is also necessary if you need more than 2 Type A USB ports. 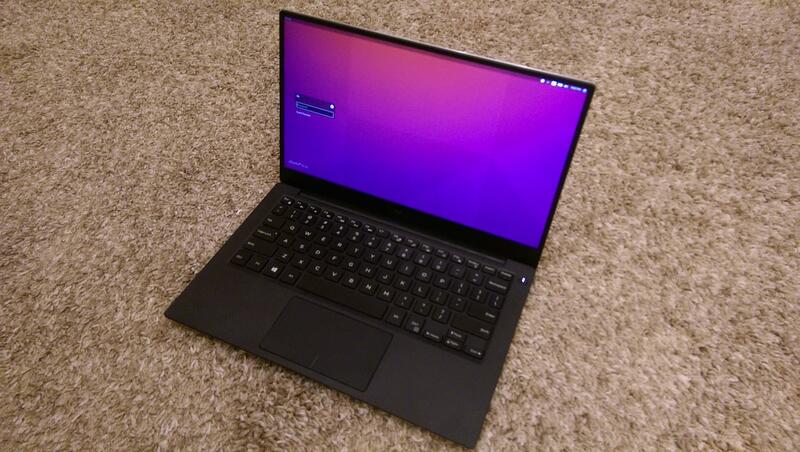 Here are a couple useful links if you're going to mess around with installing Ubuntu on one of these yourself. Overall, I'm quite satisfied with the laptop. It's definitely in the running for the best one I've had because it wins big on portability. The battery life is decent (although probably not as good as it could be with Linux). The keyboard is not bad for a laptop. There's not a lot of up and down movement, but I've gotten used to it. I'll never get used to some of the keys being put under a function key sequence (like page up and down).